What is Wonder Woman Method? My method helps women learn to love their body, get off the diet wagon once and for all and improve their health. After a lifetime of dieting, losing and gaining masses of weight and despising everything about my body, I totally understand the struggle is real. Basically, I created Wonder Woman Method from all the missing parts of every diet or weight loss program i had tried and 'failed' in the past. It's all the things I never even realised were holding me back from my healthiest, happiest, diet free life. I no longer spend hours and my precious energy on dieting, obsessing with food & calories, what I can & can't eat. And for the first time ever, I love what I see looking back at me in the mirror. I know deep down, we are all Wonder Women, all superheros in our own right. I look around and see the most incredible women, doing the most incredible things but they are miserable. They despise their bodies, are confused with the endless bombardment of the perfect diet & frankly wonder if it's worth the effort because historically the weight never stays off anyway. My method is a completely unique, personalised program that designed around what YOU want and need to improve your own health. We are all so different, what works for me & what works for you are never going to be the same which is just one of the many reasons diets have failed you in the past. My method is not another diet telling yo what you can & can't eat or how much and when. My method is not just about getting your bikini body at the end of our 12 sessions. We focus on health not bikini bodies. Why? You and your health are so much more than simply how you look in a bikini. It's not about getting you a 6 pack in 6 weeks. It's about steady, consistent changes to improve your health. I'm all for baby steps consistently leading to lasting change. My method is not for everyone. You need to be ready to heal that heal that relationship with food and your body. It can be messy and uncomfortable, but is oh, so, worth it!. Health Coaching is all about inspiring true health holistically. I am part nutritionist, part counsellor & passionate Body Love advocate here to empower you to live your healthiest life. We all know how to lose weight, eat healthy food and move our bodies right? So why don't we do it? During our sessions we dive far deeper than just what to eat and when to exercise. We explore in depth why you never seem to be able to get where you want to be with your goals. I wholeheartedly believe in a weight neutral or HAES approach to health. 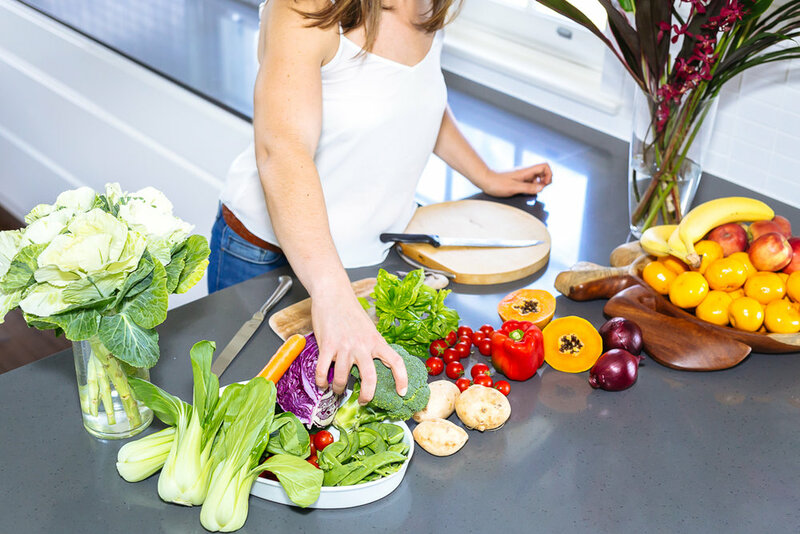 I practice and am certified to teach Intuitive Eating, an incredible way to learn to sort through that insane amount of 'advice' and listen to your body and mind, and finally make a truce with food. I'm currently studying to become a Dietitian in sunny Newcastle, Australia. I love helping guide my clients to a healthier life holistically. Yes leafy greens are important but if you are highly stressed in a job that you hate for example, kale aint gonna make you healthy! For true wellness, you need to be healthy in mind, body and spirit. 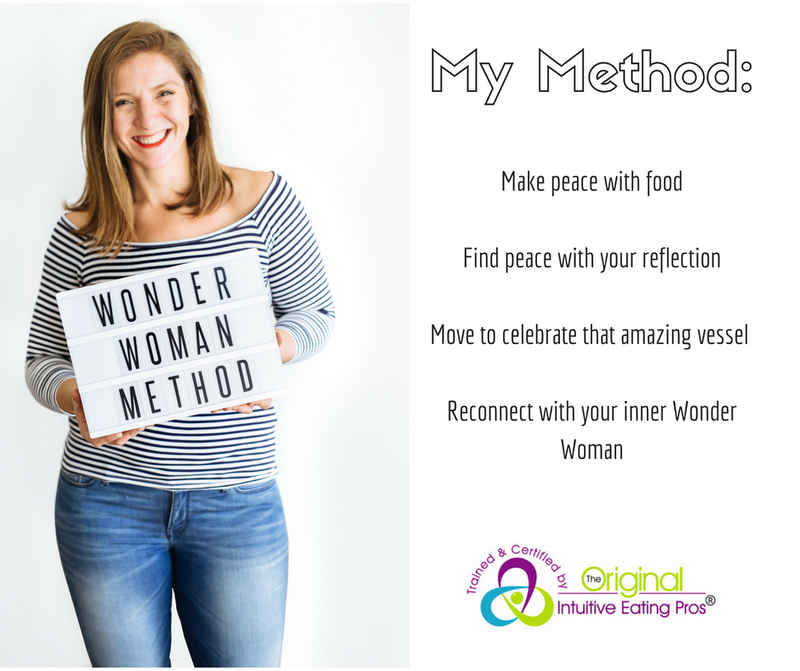 My signature method uncovers your inner Wonder Woman in four steps. Ditch the self loathing and learn to fall in love with the only body you're ever going to live in. Nutritional coaching personalised to you. No cookie cutter approach here! We dispel food & diet myths. I practice & teach an Intuitive Eating approach to food. Bust a move. We excersise to celebrate what we can do, not to burn off calories. We look at common exercise myths & get you doing what you love becasue it feels good, not because you have to. 12 one on one coaching sessions, twice per month for six months. Face to face or over Skype. Unlimited email contact in between sessions because accountability and support in between our sessions is vital! Excursion coaching sessions available on request. This may include health food shop/market tours, pantry and/or fridge makeovers, Kombucha workshops, cooking classes. Whatever you want & need direction on. Access to any Wonder Woman Method workshop, online program & Masterclasses. I help women who struggle with their body image & weight, look and feel amazing and discover their inner Wonder Woman.